Over the last few days, we have seen a leaked picture showing us the front of the BlackBerry A10, also known as Aristo, and a leaked picture showing us the back of the device. On Saturday night, a video was discovered that shows 29 seconds of what is called the "most powerful BlackBerry ever". The video reveals a phone with what certainly appears to be a 5 inch screen on the device. The problem with the phone is that is shows how the Canadian OEM has not learned its lesson. This model will apparently feature a dual-core processor and a 720 x 1280 resolution. Once again, BlackBerry wastes an opportunity to offer a phone with specs that at least are matching what is on top-shelf Android models. BlackBerry CEO Thorsten Heins has said that this model gets him excited which makes us wonder if he has actually looked at what the competition is offering. Has he not learned his lesson from the launch of the BlackBerry Z10 and the release of the BlackBerry Q10? And even if he is dressing up the company for a sale, he still needs to show that there is some sort of future for the company to attract buyers. Check out the video of what looks like the first 5 inch BlackBerry, and hope that it is not too late for BlackBerry to give the phone the specs it needs to compete against comparable Android units. It says its a dual core, 720p, and will be history, above. PS: BB10 is super smooth with the dual core and doesn't need quad. If you ask me, quad cores are more for self reassurance that you are getting the latest fad and is really only required for Android to run smoothly. But BB is goofing up in its execution (price!). that is app not well designed. See designing app needs template, either you use a general public one which is compatible with most OS or use the native blackberry API which needs more work since some parts need full redesigning. 90% apps use general templates and thats why they are laggy. its the same reason many apps in android too dont use quad core and only use dual cores. True that. But my Nexus 4 mostly run only two cores and still remain smooth. All four cores only activates when playing graphic intense games. I hope KLP will be more effecient and smooth without sacrificing hardware. if your gonna have to pay the same price as other premium specs phone like the S4 or HTC ONE, now why would you want 2012 specs? Its like paying the price of a ferrari even though the car runs like a toyota just because it can still run properly. blackberry just cant understand that their phones are most desired so to increase the price of phones wont get them any more attention. i still hate myself for buying 9900 for $600. even latest blackberry shouldnt be worth more than $400. unless blackberry really are planning to get out of business. Is there any smartphone that you're not waiting for? I do the same... Xperiadroid, I do really like how you defend on Nokia... You are awesome ! I dont see BB dying anytime soon but they will keep clinging on the edge; soon there might be more drastic changes to come within the next couple of years, or being purchased by another bigger company. Anything can happen. 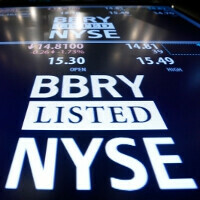 Blackberry uses its own OS so its really difficult to say who would buy them. If it was like webOS then we could say google could use some of its patent and would buy it. but for now bb10 is domed and needs alot of work. blackberry arent getting bought for atleast next 5 years. 720p on a 5 inch screen ain't no flagship. And what other spec will it differ from Z10 aside from the screen size and maybe camera? ZOMG For Fkkk's sake Blackberry, listen! You can't sell a midrange spec'd device for premium, You just CAN'T!!!! Isn't the Z10 travesty not enough? The screen is too big for a heavily gesture based OS like BB10. Ugly indeed. How can BlackBerry stay afloat with a phone like this? It looks too identical with the Z10. Hello PA. when nokiA WP has mediocre specs you guys supported them by saying that WP phones needs only that level of specs to run a smooth OS. But when it comes to blackberry you guys started to bash on them, i see this OS is buttery smooth to operate. Even the PA author (guess its M.H. )of Blackberry z10 OS said that it is very very smooth to operate. Because this is a 5 INCH phone. Nokia is still making 4.X inches because they are well aware, to go 5 inch and above u need quad core and 1080p. That's the difference. Blackberry, instead, decided to stick with midrange specs (by today's standards) for a larger phone. For me as long the phone is smooth, fast, and does what i want it to do, i dont care what's under the hood, but the problem is many others care. Are you kidding? What does the number of cores have to do with the screen size? Also, my Note 2 has a 720 screen & is 5.5". Guess what? It looks just fine. You just made yourself look really dumb with those comments. No surprise that abcdefgh would agree with you. He can't even add. I said "By today's standards", Note 2 is a ear 2012 phone. This is how how opinion changes, i read people praising 720p screens last year, and guess what? After a few months by march this year everyone is calling 720p crap. This shows that how utter stupid most people are for judging things by specs simply by "current trend". Unfortunately, when many people think that way, you have to play along or your products wont sell. I even read idiots asking why Lumia 1020 didnt have 1080p screen. Why do you even need 1080p on anything under 5 inch? They need to cancel their entire rnd budget and allocate all those funds to making sure all the popular apps are available on their phones. Otherwise no matter what, they will fail.